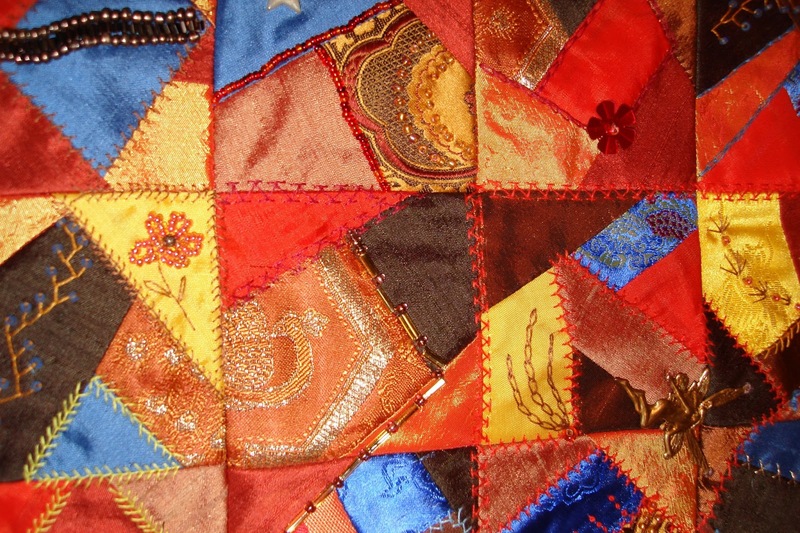 This is a 40-45 minute presentation that traces my journey in quilting from early inspirations. My on-going love of vintage fabrics was further enriched during my five years in Japan where antique markets in shrines and temples allowed me to collect wonderful indigo blue and silk kimono fabrics. The symbols and images of Japan are a recurring theme in many of my quilted pieces. I’m sure that everyone who attended our October meeting really enjoyed Suzanne Neilson’s presentation. I know I certainly did; and many members commented most favourably about the evening. For those who weren’t able to make the meeting, Suzanne, in her slide presentation, gave us just a glimpse of her wonderful time (more than five years) in Japan and some fascinating aspects of the culture. Her forays into the markets in search of fabric treasures was most interesting. The second half of Suzanne’s presentation was a trunk show; she wowed us with a rich assortment of both crazy quilts and structured quilts. True to her presentation topic “For the Love of Textiles”, she included fabric from kimono and yukata, indigos from hakama, small medallions, family crests, heritage pieces, beautiful silks, brocades, and cottons." This can be a half day or a full day workshop. 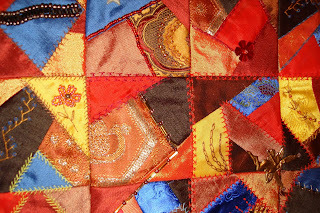 Participants will have an opportunity to practice the stitch and then chose a pattern. Some materials will be provided.